FocalSim can handle complex geometries, as well as the latest developments in probes, inspection strategies and data-analysis techniques. Being able to accurately simulate your inspection during the design process, it allows you to identify and account for critical issues. This procedure greatly reduces unforeseen problems, and thus, additional costs during operation. 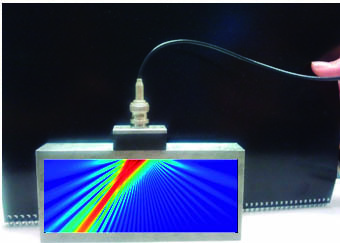 DASEL has developed this powerful acoustic field simulation tool, based on the monochromatic wave equation solution in homogeneous media, and the Ray-tracing method for the focal law calculation, which allows the user to have a more precise idea of the behavior, shape and distribution of the ultrasonic beam into the specimen. The obtained focal laws can be exported to SITAU systems or to other Phased-Array equipments that accept these input parameters. 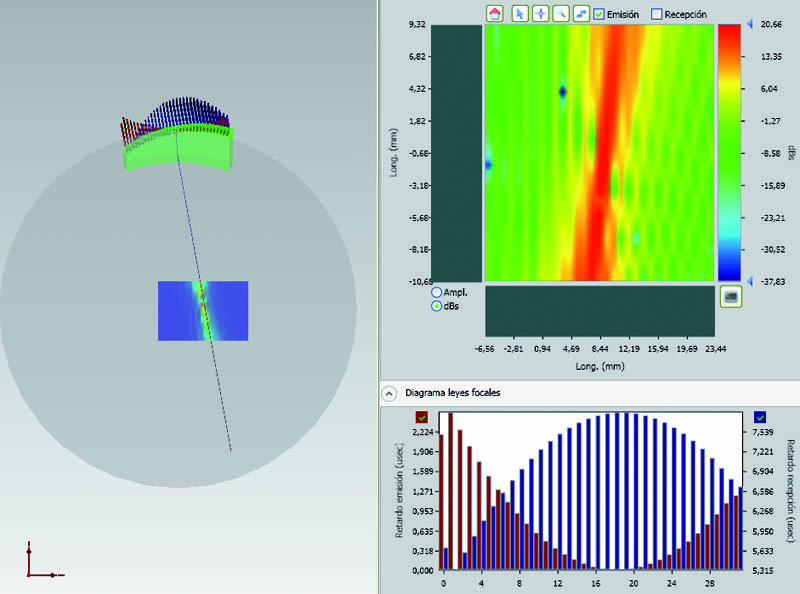 FocalSim makes it possible to understand and visualize the acoustic field radiated by any Phased Array probe in a NDT inspection. The simulation results are used to optimize inspection strategies, verify inspection parameters, and help in the analysis of results. • Fast focal laws calcultation and acoustic field simulation. • Exportable Focal laws for compatible devices. • Exportable ray entry point for compatible devices. • Acoustic field simulation in narrow band. • Dynamic Focusing Focal Law (DDF) calculator.